You may have already figured out your carnival Monday wear, but then again you probably don't mind a few ideas to amp it up. 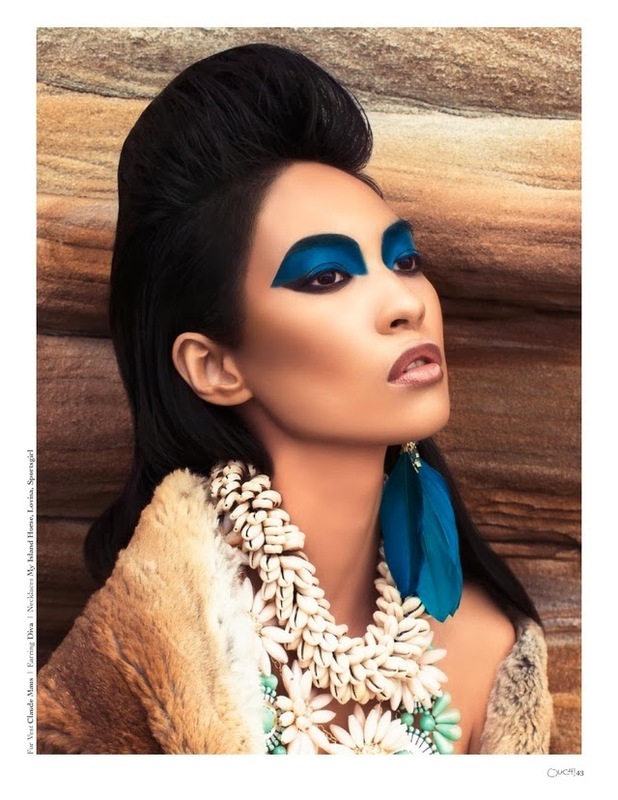 This Primitive Terrain Editorial from Ouch! Magazine, Volume 22 Issue 22 is just what the Trinidad carnivalnista needs ... wear a simple bikini, maybe work in a few feather pieces from your 2014 costume, (even make use of past costumes), but most importantly pull out your statement accessories, bold makeup and attitude. This editorial displays beads, feathers, fur, metal (gold), shells, sequins, coins, leather, fur, fringe, tassels, rhinestones and rope. It's now up to the carnival diva to WERK IT!